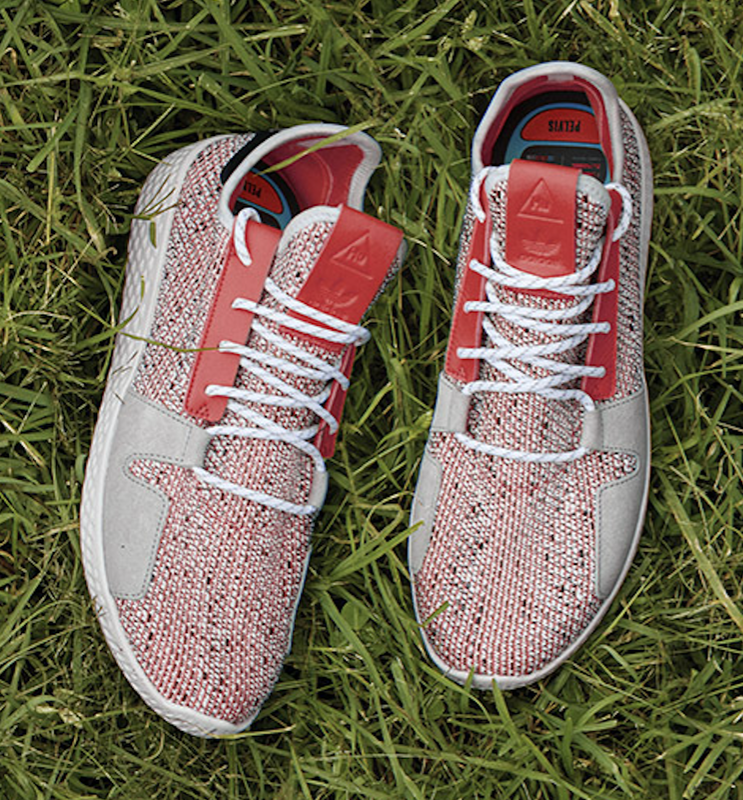 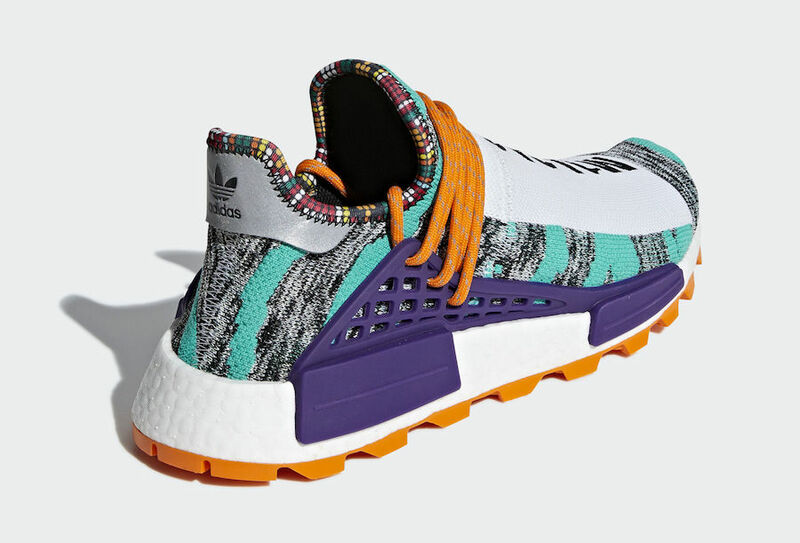 Pharrell and adidas Originals is expanding on their collaborations using the NMD. 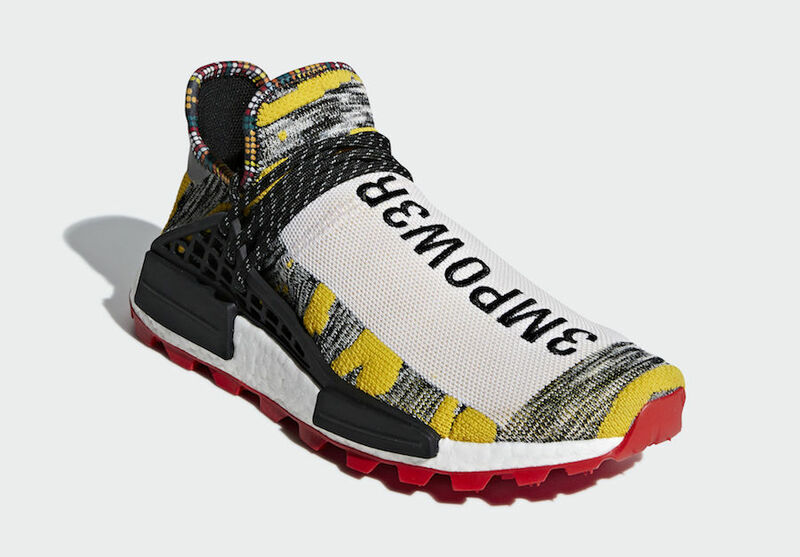 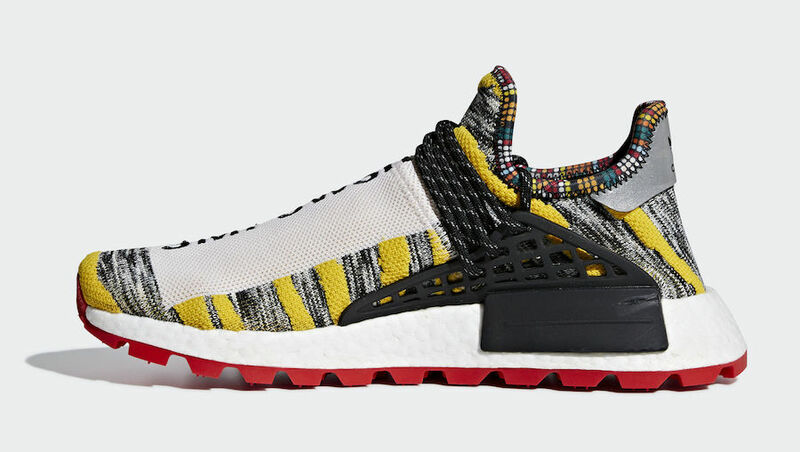 Known as the adidas NMD Hu Trail Solar Pack, they were originally being called the ‘Afro Pack’. 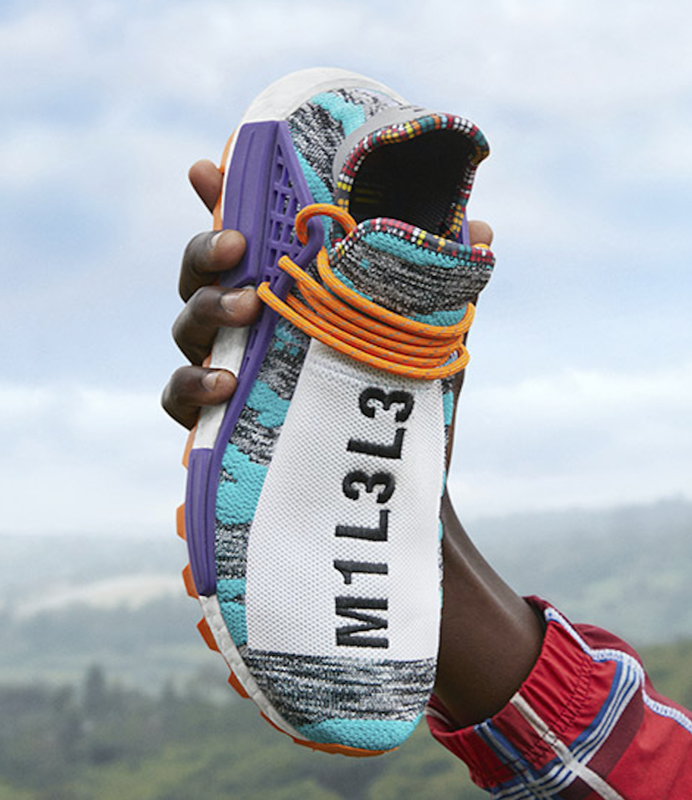 The retail release is slightly different from the sample pairs. 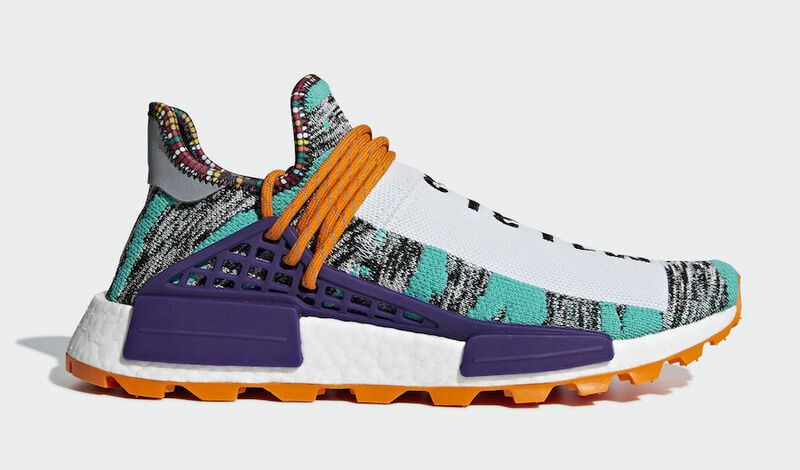 Featuring three adidas NMD Hu Trail releases while each comes with White across the upper along with bright accents. 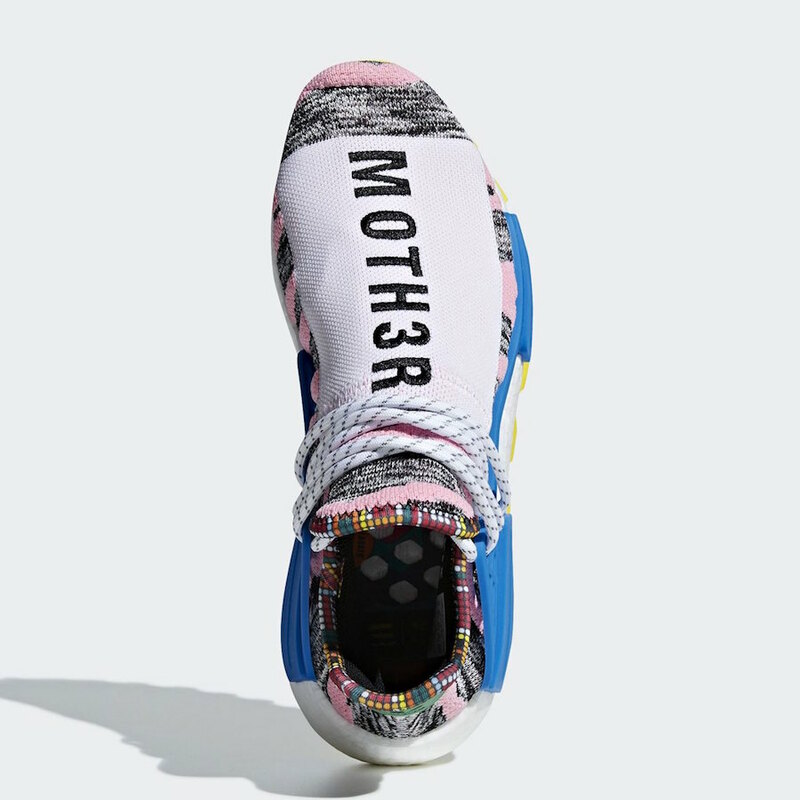 We also have bead graphics around the collar as a tribute to African heritage. 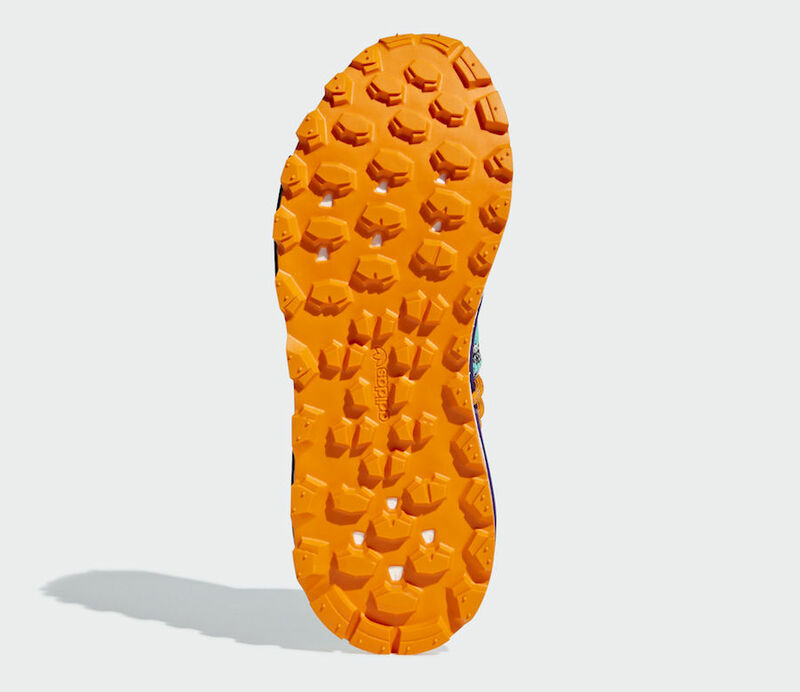 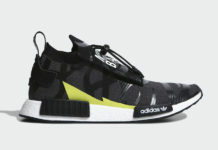 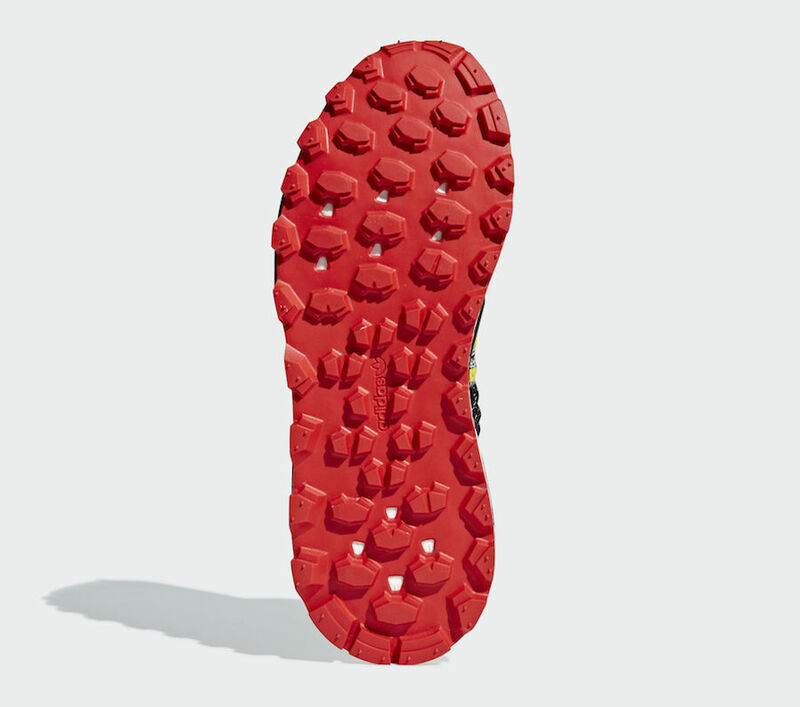 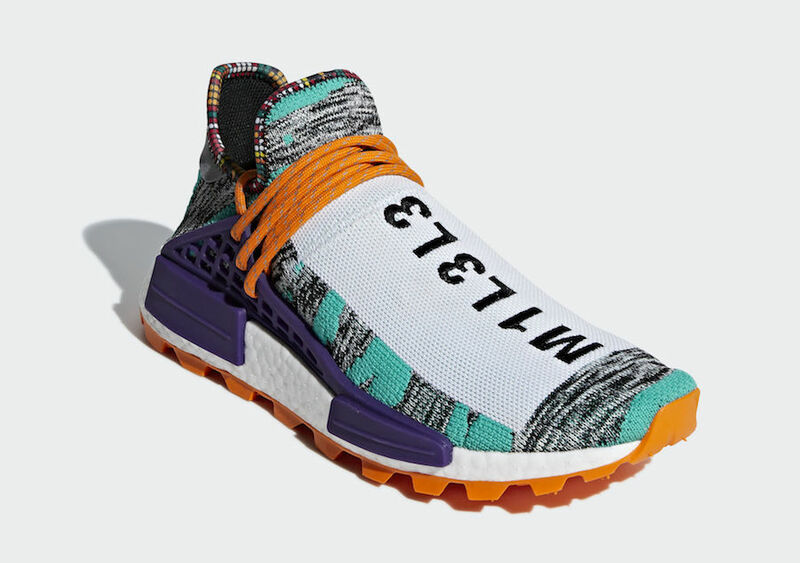 Following we have both Black and White on the upper, Boost midsole, solid colors land on the EVA pod overlays and different colors are applied to the trail rubber outsole. 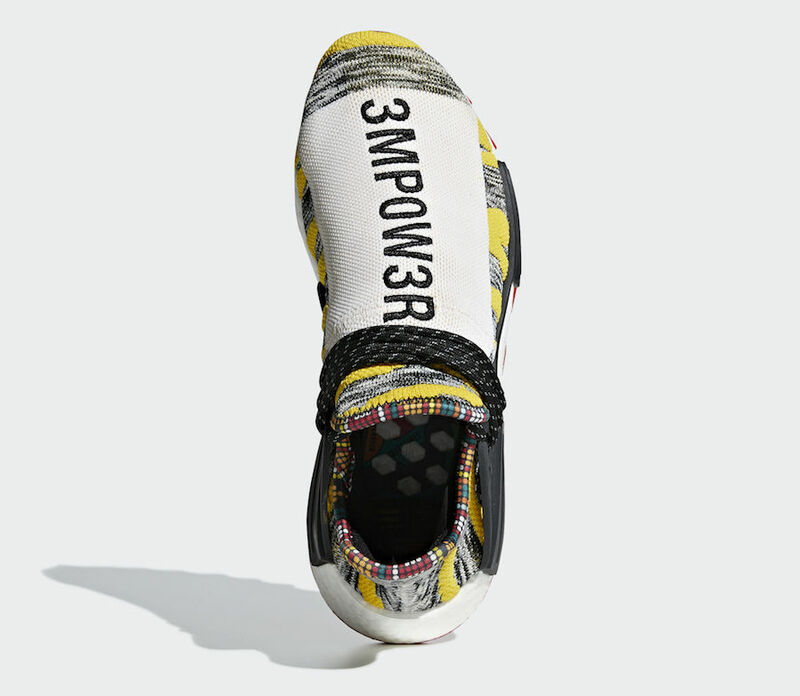 All three pairs will feature their own saying on the forefoot which includes ‘M1L3L3’, ‘MOTH3R’ and ‘3MPOW3R’. 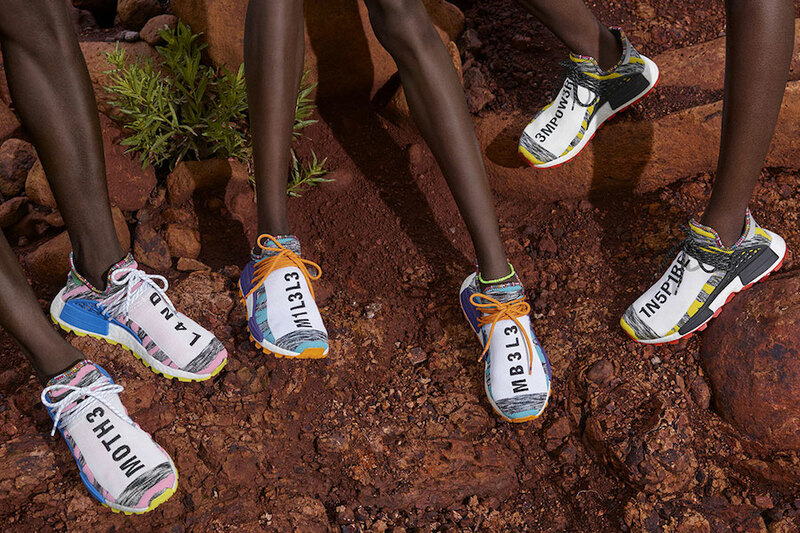 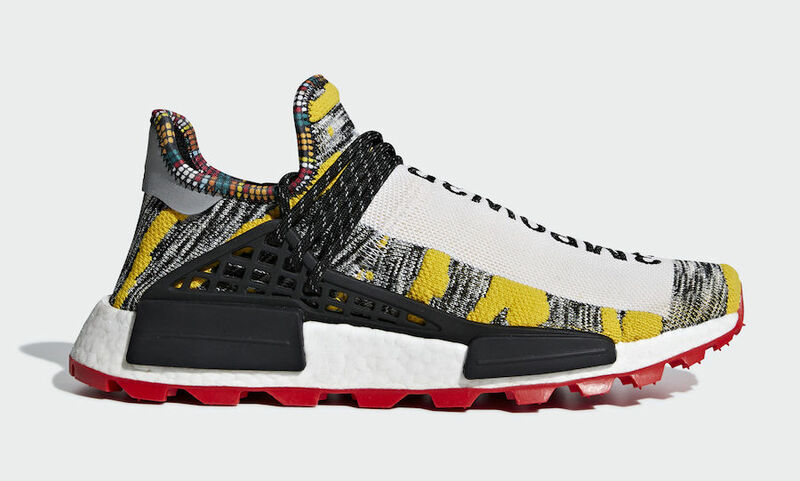 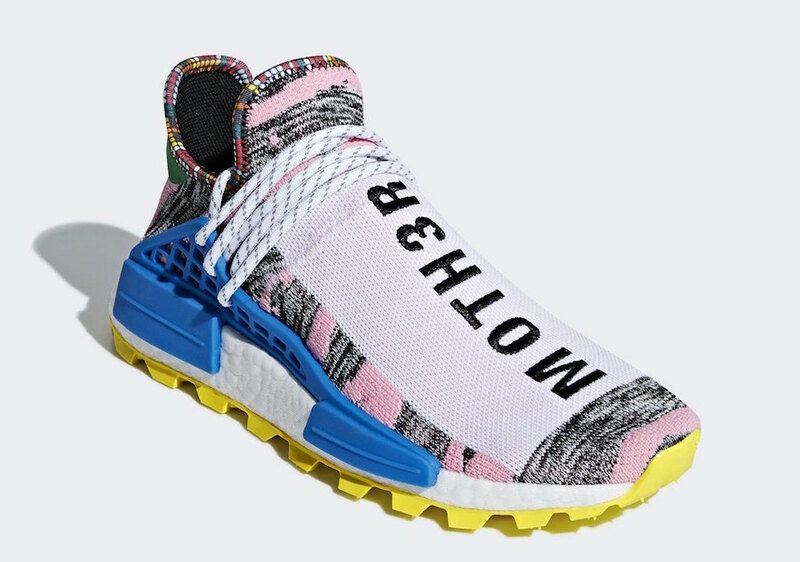 You can expect the Pharrell x adidas NMD Hu Trail Solar Pack to release at select adidas retailers including online at adidas.com on August 18th. 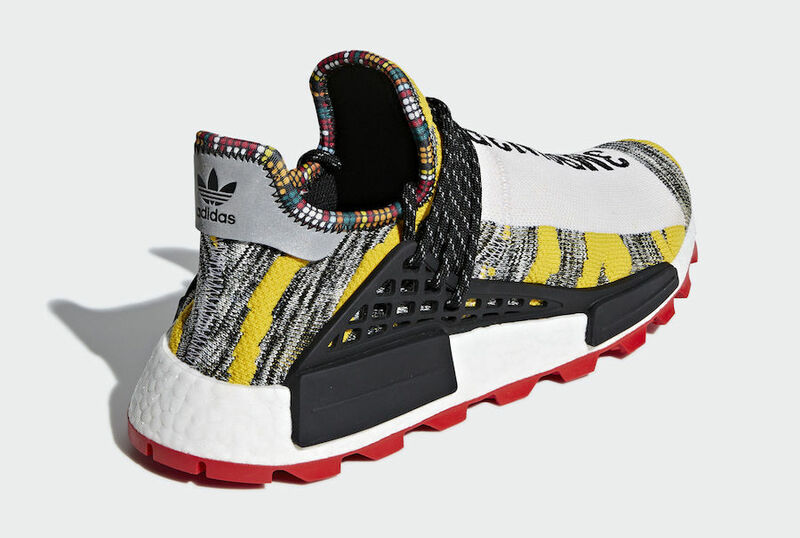 Retail price is set at $250. 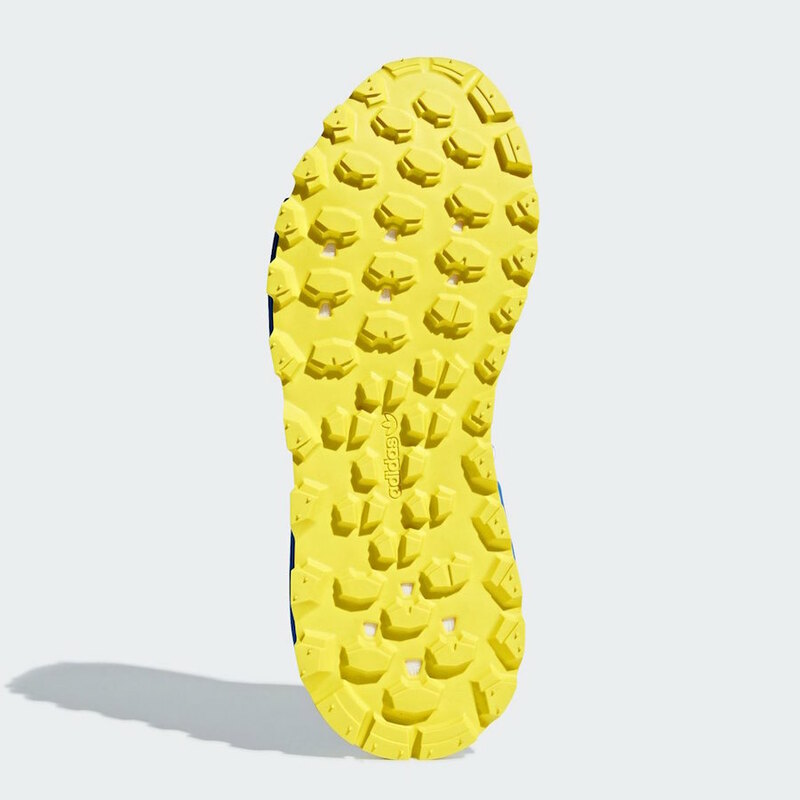 Below you can check out more images which will give you aa better look at the pack. 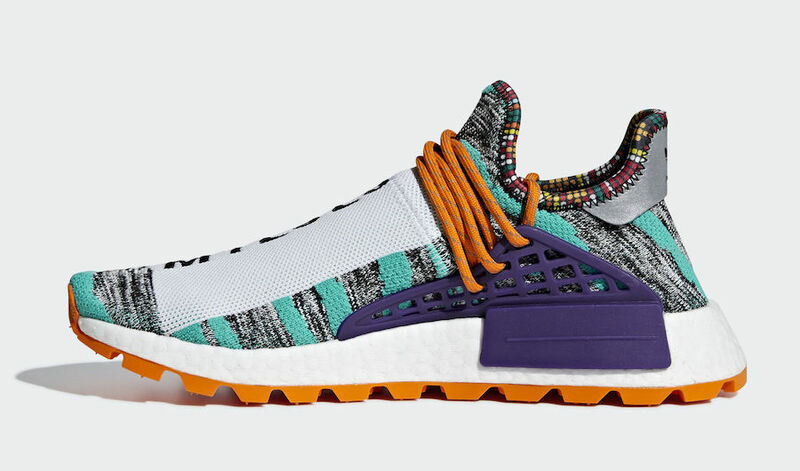 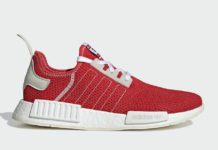 Update: We now have product shots os the SOLARHU NMDs which has been confirmed as the official name of the pack. 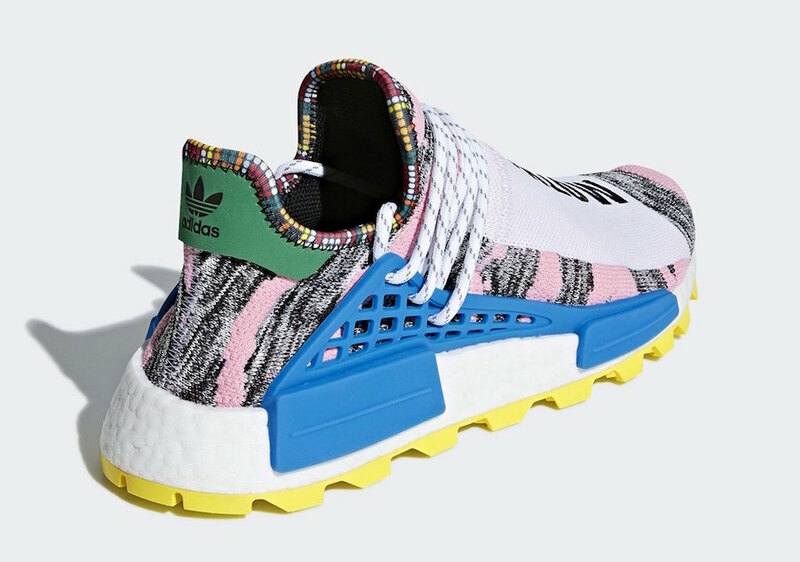 They will release on August 18th for $250. 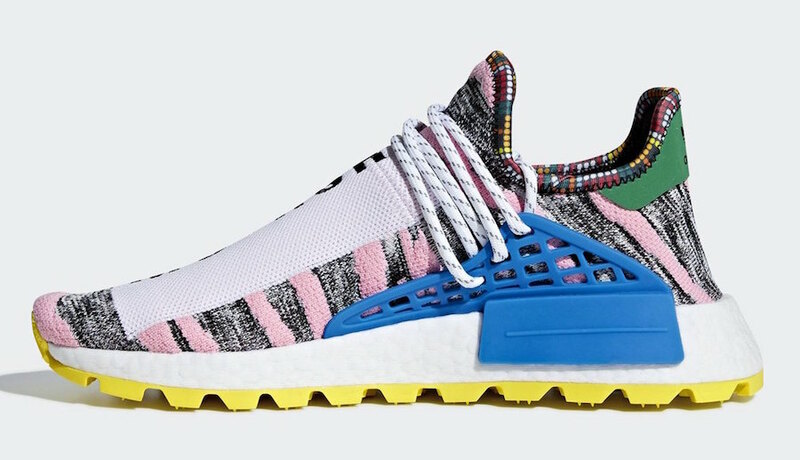 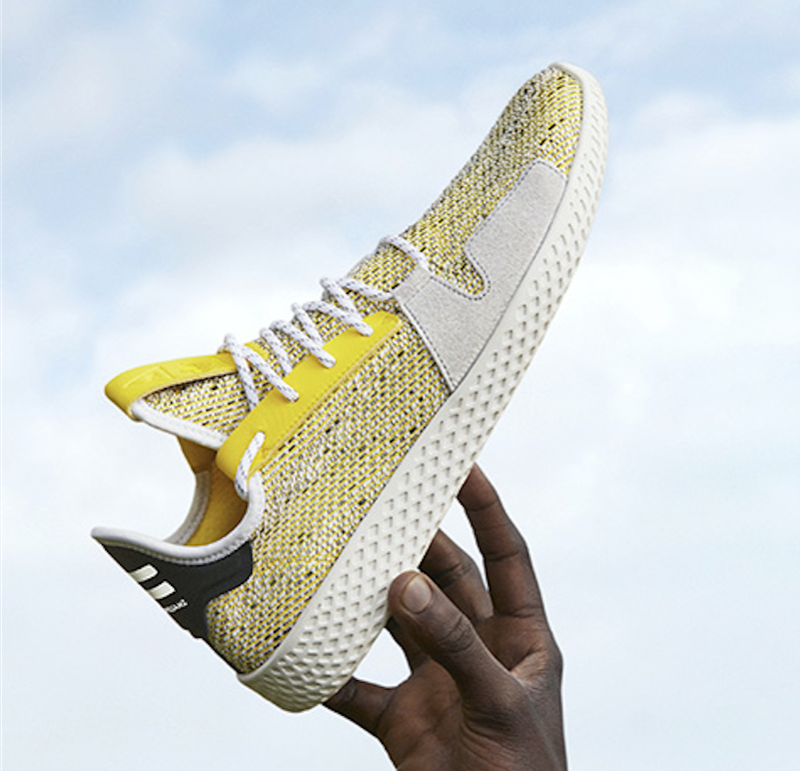 In addition two Tennis Hu sneakers is also part of the pack. 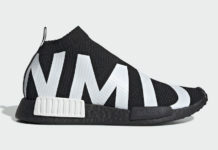 Retail price is $130. 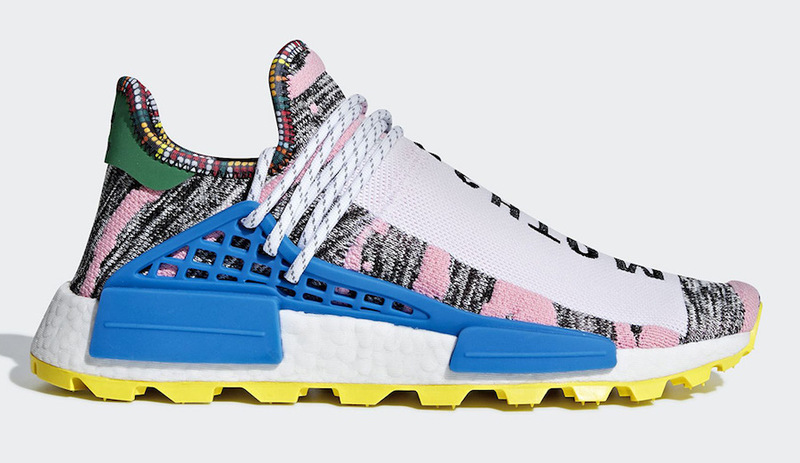 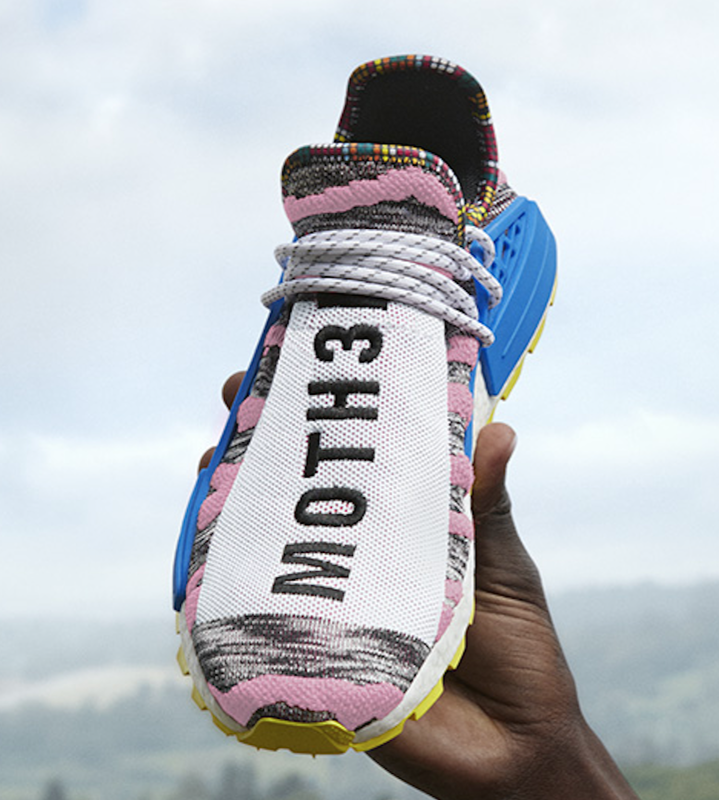 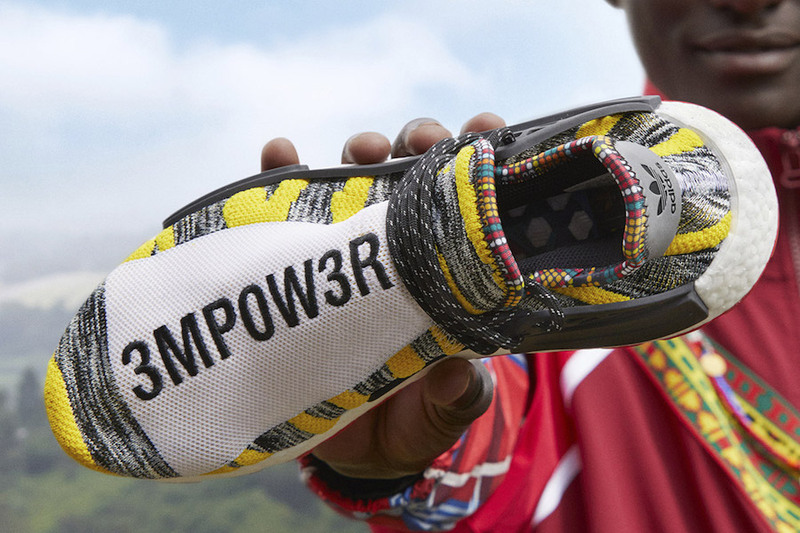 Update: Official images of the third pair part of the Pharrell x adidas NMD Hu Solar Pack has arrived which releases on August 18th. 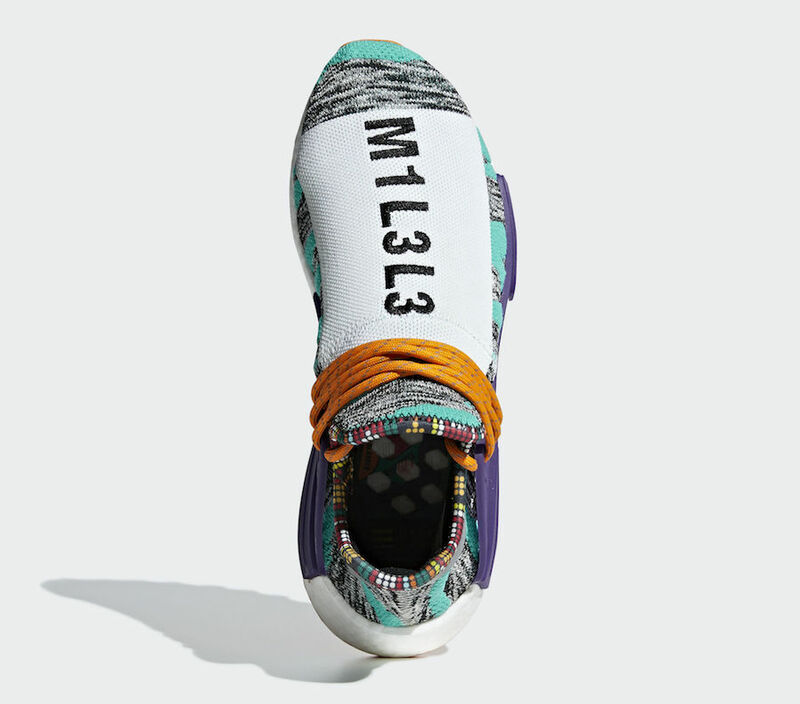 This pair features ‘MOTH3R’ on its forefoot.